The latest installment in the Terminator franchise will be the first in a stand-alone “rebooted” trilogy. 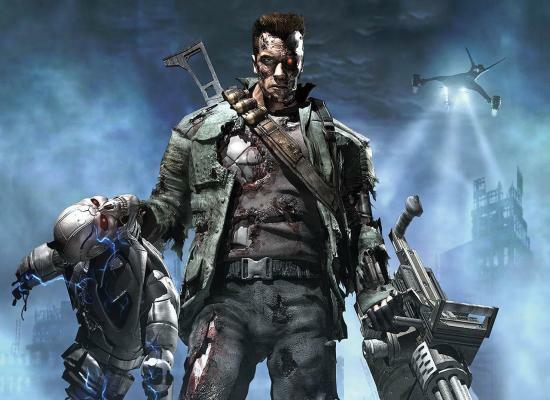 Paramount Pictures said the fifth Terminator film, based on the original series starring Arnold Schwarzenegger, is due to be released in June 2015. There was no official confirmation on who would direct or star in the forthcoming film. However, Arnold Schwarzenegger revealed earlier this month he would be returning to the role that made him a household name. Arnold Schwarzenegger starred in the first three Terminator films – released in 1984, 1991 and 2003 – which grossed more than $1 billion at the global box office. A computer-generated version of the actor appeared in 2009’s Terminator Salvation, which starred Christian Bale and Sam Worthington. The new film will be penned by Shutter Island screenwriter Laeta Kalogridis and Drive Angry’s Patrick Lussier. With a release date scheduled for June 26, the movie will join a slew of summer blockbusters, coming out a week before Independence Day 2 and two weeks ahead of Pirates of the Caribbean 5. Star Wars – Episode 7 is also due to be released around the same time.